The view of Kampung Seberang Jaya from the top of Kuala Tatau bridge. TATAU, Bintulu: In the olden days, massive infrastructure especially bridges were linked to headhunting as it was believed that the spirits of the beheaded would strengthen the foundation of these structures. Myth has it that the victims would be beheaded and their heads buried deep beneath the foundation of the mega structures. The younger they were, the stronger these structures purportedly were and the longer they supposedly lasted. Tiong (second left) and his workers on the Kuala Tatau bridge. Even in modern times, old people in villages would still scare young children to beware of strangers as the superstition or myth of headhunting for heads of children continues to live on. However, all these myths and rumours of the need for heads for big infrastructures, especially bridges, were totally rubbished by Erne Tiong, who is currently the project manager of Kuala Tatau Bridge. “To me, those kind of funny stories are just hearsay. 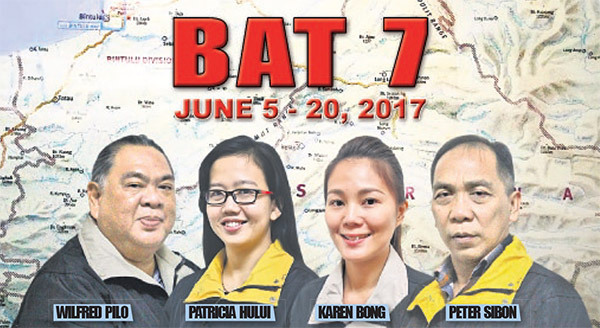 I can tell you this that any engineering problem has engineering solutions, so the answer to building strong bridges is purely engineering and technology,” he shared with the Borneo Post Adventure Team (BAT) 7 at the project site here yesterday. 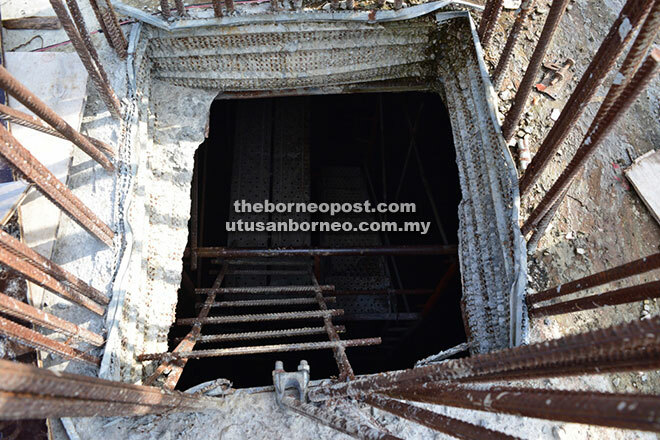 Tiong showing the massive tunnel deep inside the Kuala Tatau bridge. The bridge is strengthened with two tiers of concrete slabs. He has been an engineer and a project manager for three major bridges in the last 16 years of his career. “As a devout Christian, I don’t even allow my workers to erect any altar meant to appease the spirits but instead, they should focus to work as a team because that’s where the strength is,” added Tiong, who is from Sibu. The sun was high up and glaringly bright when the BAT 7 arrived late at noon. It has been a long but a pleasant drive over 190km from Sibu, navigating through crawling traffic at certain stretches where construction of the Pan Borneo Highway was ongoing, slowing down at bumps and cracks and tailgating heavily-loaded trucks or oil tankers, waiting for a chance to overtake. At the Kuala Tatau junction, it took another 30km drive to get to the bridge where corn stalks, banana plants, coconut trees and oil palms lined both sides of the road. 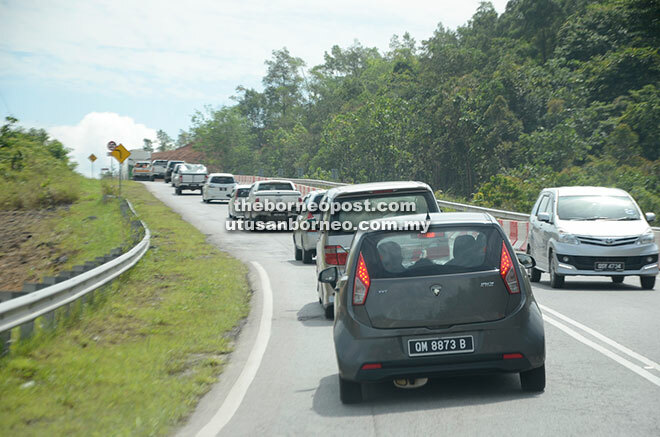 The traffic jam along the Selangau-Bintulu road. Motorists can stop at the few stalls along the roadside to cool themselves down with coconut water if the mid-year tropical heat gets too much to bear. After meeting Tiong and getting briefed on the project, he brought us closer to have a look at the incomplete bridge spanning 724 metres over the Tatau River. Standing on top of the bridge at a height of about four storeys, we were wowed by the panoramic view of the magnificent river that stretched for miles. This was a rare opportunity for photos, selfies and wefies that was worth every effort. In such intense heat, the workers were working hard as they completed the phase of work at the centre of the bridge. The project was in fact progressing ahead of schedule. 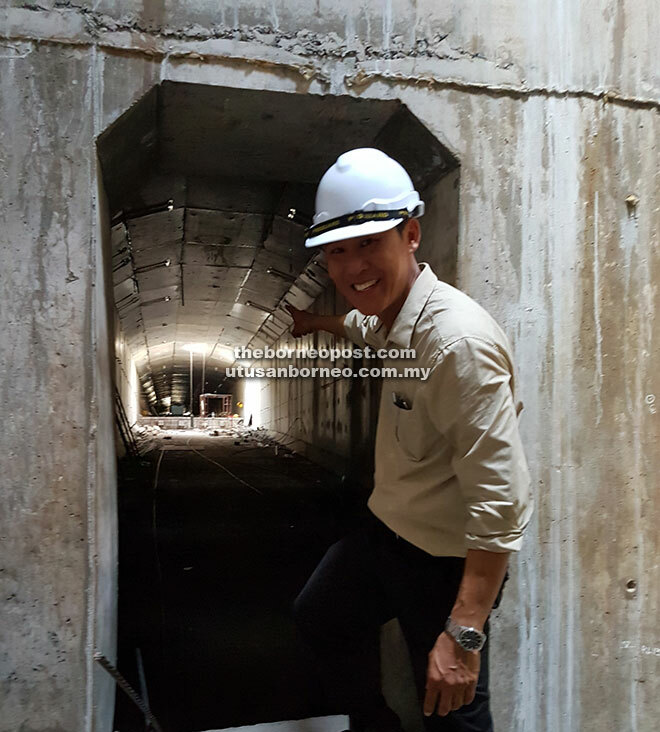 Tiong also gave a rare experience to one of our BAT members to see the massive tunnel network inside the bridge. He explained that the bridge is strengthened with massive steel bars and concrete slabs and assured road users that the bridge would last. It was the third such project undertaken by Tiong as project manager, with the first being the Lanang Bridge and the second, one of the bridges leading to Tanjung Manis. The entrance to the tunnel of Kuala Tatau bridge. With the completion of this bridge estimated for Oct 21 this year, Kuala Tatau will be linked to Balingian and Mukah division. 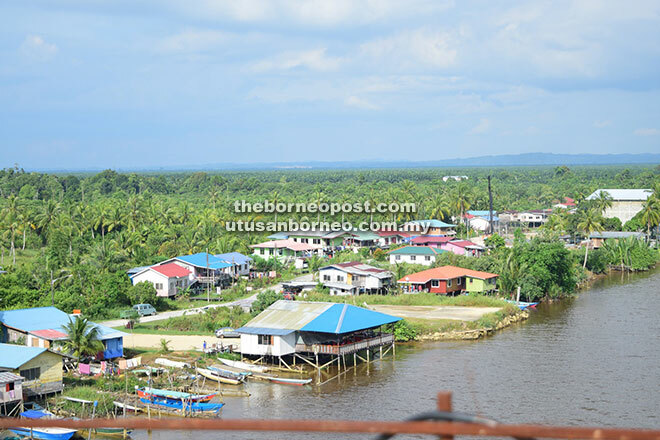 The project is part of the 928km coastal road from Kuching to Miri which is expected to finish in the next five years. To make that happen, five major bridges, namely at Batang Lupar, Batang Saribas, Batang Krian, Batang Igan and Kuala Kemena, costing some RM2.5 billion, will have to be constructed. The coastal highway is expected to boost the rural economy especially when all the major Sarawak Corridor of Renewable Energy (SCORE) projects are linked by these coastal roads.